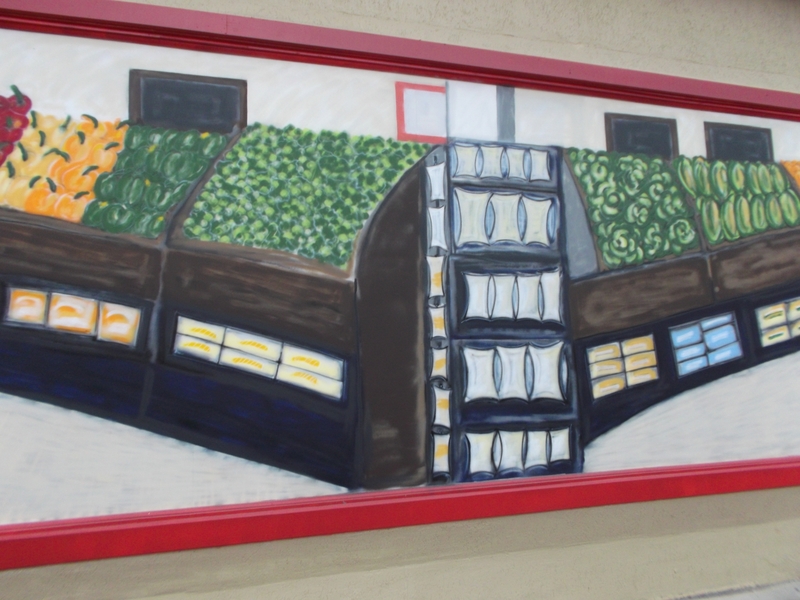 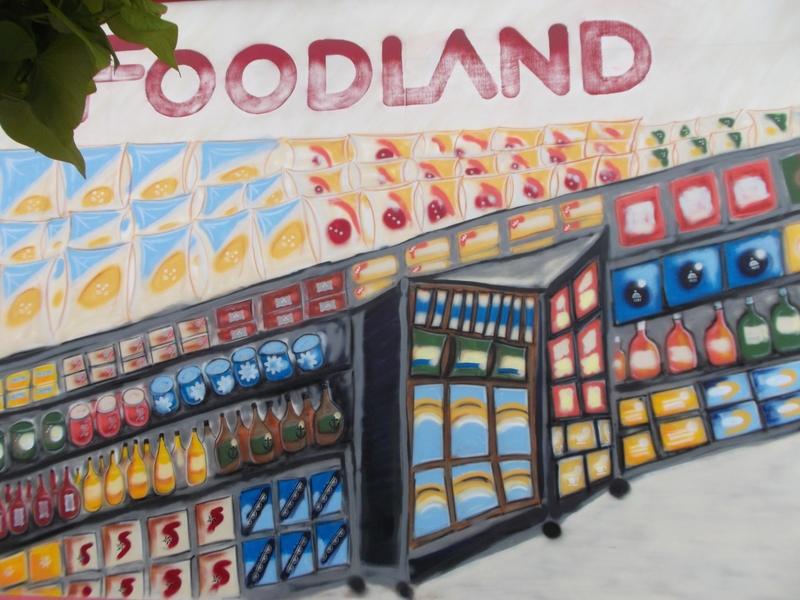 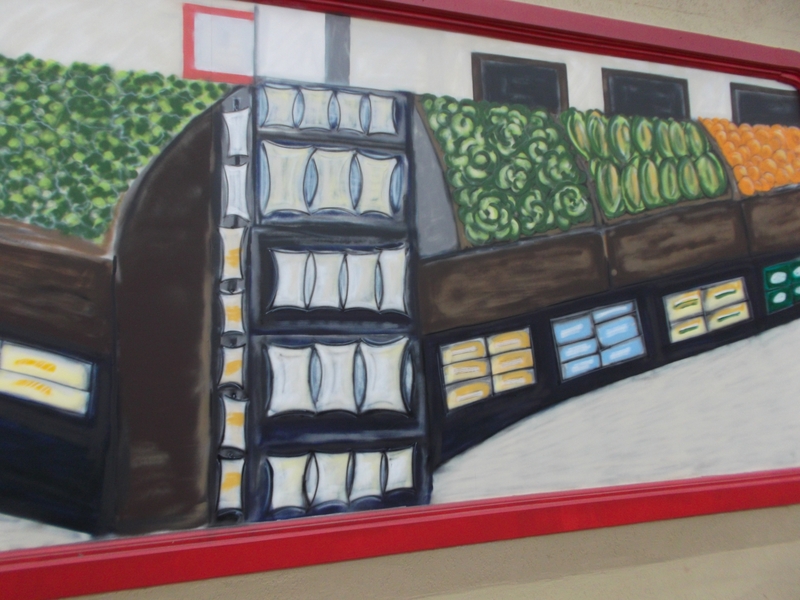 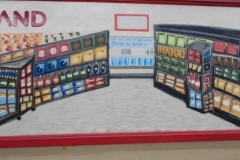 In 1986 artist Robert Markle completed a mural on the east side of the current Foodland which is on the west side of Main Street South. 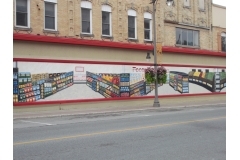 The mural was taken down in sections in June 2014 and will be stored for future restoration and hopefully a new placement. 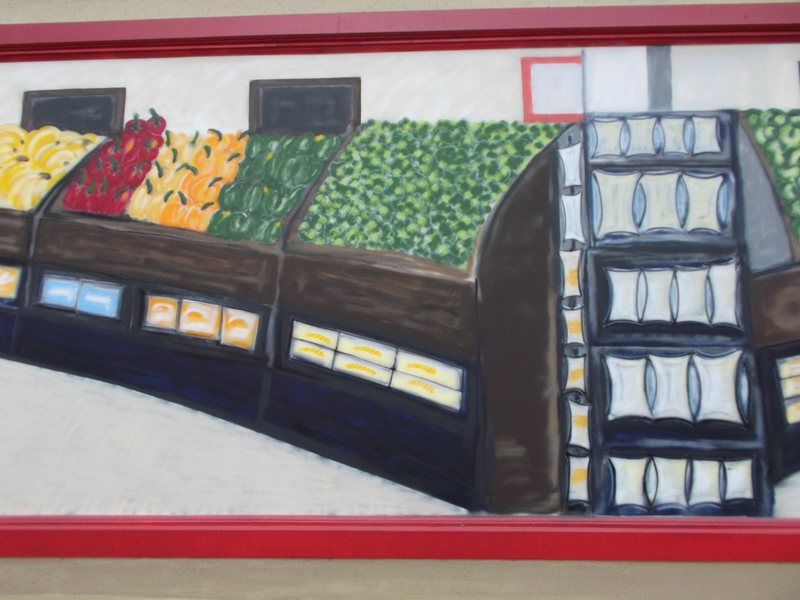 So the image won't be lost, a large photo of the mural will be hung at the front of the store. 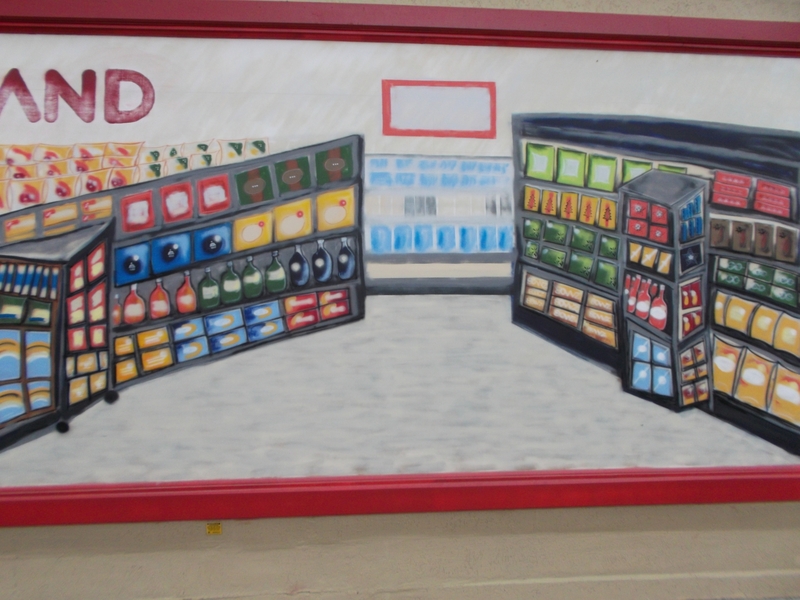 Presently, Palmerston artist Alexandra Cooke-Wasberg of Alexandra's Airbrush is creating a new mural. 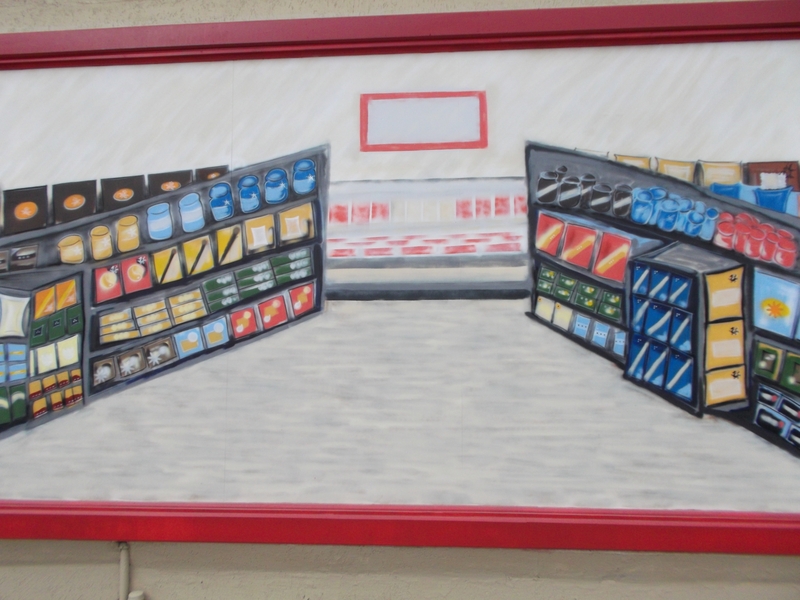 Not yet completed, the mural will represent the interior of a modern grocery store as viewed by a passerby.